Organised by Jurong GRC, Yuhua, Bukit Batok Grassroots Organisations and NParks, the JAMFest 2017 which was held at Jurong Lake Gardens (Chinese Garden), Dragon Phoenix Court saw a huge crowd as the evening was filled with performances by JAMFest finalists and local artistes. The event was graced by Mr Tharman Shanmugaratnam, Deputy Prime Minister, Coordinating Minister for Economic and Social Policies, and Grassroots Advisor to Jurong GRC GROs along with Mr Desmond Lee, Senior Minister of State for Home Affairs and National Development and Grassroots Adviser to Jurong GRC GROs, Mr Ang Wei Neng, Grassroots Adviser to Jurong GRC GROs, Dr Tan Wu Meng, Grassroots Adviser to Jurong GRC GROs, and Mr Murali Pillai, Grassroots Adviser to Bukit Batok GROs. 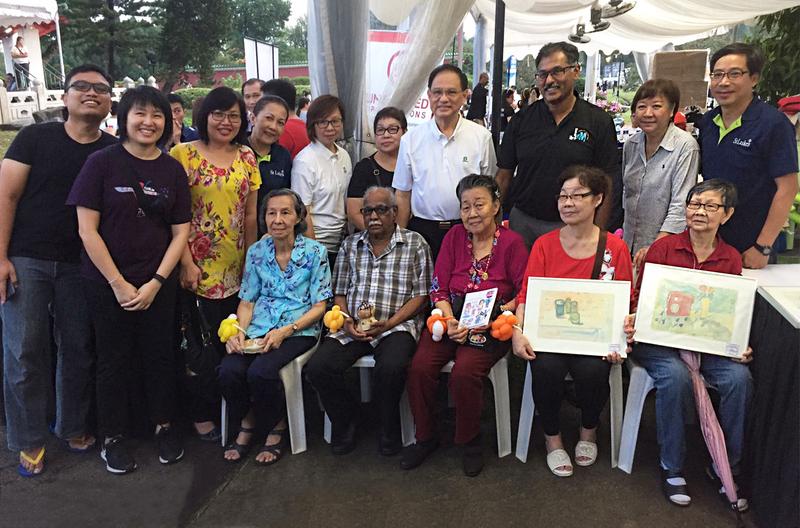 It was certainly a platform that saw an array of talented people as there were different forms of art pieces and music put up by youths and seniors. For instance, St Luke’s ElderCare clients showcased their art pieces (check out images below) from the rangoli, watercolor still life painting, comics and ceramic workshops they have attended. We are glad to have been a part of the JAMFest and we certainly look forward to more of such events!